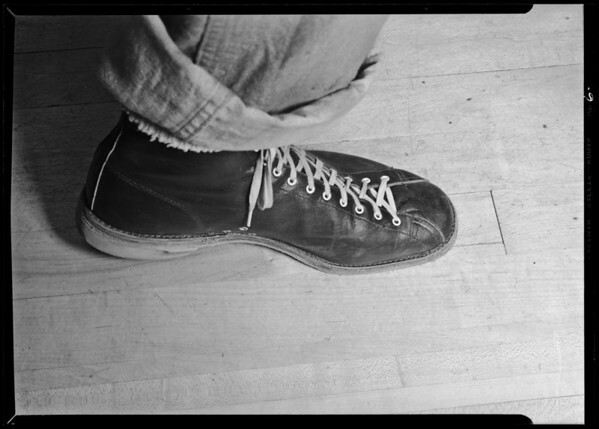 8 photographs of bowling alley floor and defective board at Beverly Hills Bowling Courts, 9244 Wilshire Boulevard, Beverly Hills, CA, 1940. "Date: Thurs. 194018206DW19400125182DW1940012518206Bowling alleysShoesZurich Indemnity CompanyLorenDeanLauLaurin S. N.Shields Thomas C.